SATANISM and WITCHCRAFT: GOTH culture is NOT anti-Christian. Just because someone is not YOUR religion it DOESN'T mean they are anti-anything. 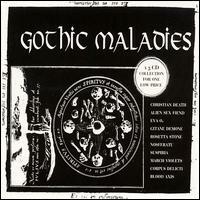 Many of the gothic songs and motifs are not SATANIC. Some people believe otherwise. Often the music is about emotions or spirituality. Gothic music is not based to any specific religion. Some people identify themselves as VAMPIRES and wear fangs or colored contact lenses. This doesn't mean they are 'gothic'. 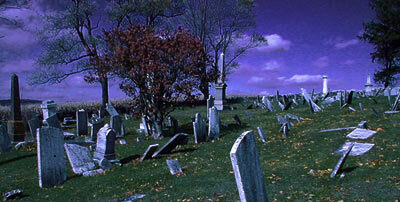 Some people also practice WITCHCRAFT ("WICCA") - this DOES NOT mean they are gothic. It COULD mean they practice a different religion than you do. No ONE religion is the only correct religion. DRUGS: PEOPLE use drugs (even devout christians), and don’t let anyone tell you differently. Well-known deadly drugs such as heroin and marijuana, as well as exotic "designer" drugs, are often used as by all types of people. This includes businessmen, housewifes, mothers, fathers, and former ESPN employees. Drug use is not bound to any specific type of music listener. HOMOSEXUALITY: All kinds of people (even christians) can be homosexual or bixexual. This has nothing to do with ones taste in music. Sexualty is not a 'perversion'. If you believe this is so, then why do you think that?? Forcing YOUR own beliefs onto someone else is may be dangerous to the minds, bodies and souls of the people you interract with. Homosexuality is not a 'crime'. Why do you think that it is? A CULTURE OF VIOLENCE: People in general can become violent and intolerant of others - this is not based on a favorite music genre. Some people like to 'blame' violence on external factors (as if people are not in control of their what they do). 'THIS made me violent'. 'THAT made me violent'. Is it possible that a hateful person lives in a hateful world of their own creation, while loving people live in a loving world?? ..We're working on some better resources. Send 'em if you have 'em. We'll check them and add the URL here. A forum to discuss and share info on unusual or hard to find gothic music. This is ALSO for fans of ambient music like Pete Namlook, and Bill Laswell. Bands of interest: Red Temple Spirits, Geko, 80's goth bands, Projekt bands, darkwave, Independent Project bands, WaxTrax, and Cleopatra bands. Goth Ambient Ethereal and sometimes punk. Eerie, dark, and beautiful.